In 1934 the president of the Woman's Club, Mrs. Charles Moore, suggested forming a garden club. 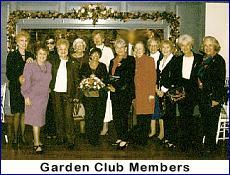 Thus, the Malba Garden Club was formed as an affiliation to the Woman's Club. 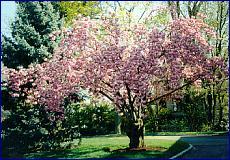 The by-laws were drawn by Mrs. John Parris who was founder of Federated Garden Clubs and who also formed The Flushing Garden Club. The aim of the club was "to promote the art of gardening; to aid in the preserving the natural flora and to co-operate in beautifying community grounds. The Garden Club originally held three flower shows a year: the winter forced bulbs, the summer formal arranging, and the fall show. The shows were professionally judged and prizes were awarded. Holiday decorating contests were also held for the most adorned homes in Malba. The Garden Club built the small house located on Boulevard and Malba Drive in the mid 30's. The house was used as a guard house and a bus stop. It was later dedicated to Rudolph Von Bernuth a long time resident. The "vest pocket parks" in Malba have been planted by Garden Club members over the years with evergreens, dogwood trees and various other horticulture. On November 16, 1969 the Jane Champ Park located at 11th Avenue and Malba Drive was dedicated. The park was dedicated to Mrs. Champ who for over 50 years was devoted to making Malba one of the nicest residential communities in New York. She was unable to come to the dedication ceremony because of poor health. The park was a wonderful improvement in the community and a tribute to a great lady, "The First Lady of Malba". The Garden Club sponsors field trips to botanical gardens, flower arranging lectures and shows, designer showcase exhibits, authors luncheons, invites guest speakers on the environment and composting and has two formal luncheons at Christmas and the end of the year. All members receive The Long Island Gardner published quarterly by the Second District, Federated Garden Clubs of NYS, Inc. which updates activities of other clubs and districts. In 1996 Sandra Kyriakoudes, sponsored by the Garden Club, became the winner of The Long Island Gardner's NYS High School essay contest: "Nature's Jewels Make Our Planet Sparkle." The Club has extended its membership beyond the Malba borders and welcomes anyone interested in flowers and gardening. Dues are $50 a year and may be sent to treasurer Florence Mottola at 34 Center Drive, Malba, NY 11357. The club is a supporting member of the Queens Botanical Garden Society, The American Land Trust and belongs to The Second District Members of the Federated Garden Clubs of New York State. The Garden Club meets once a month on the first Tuesday of each month at prearranged members homes at 10:30 AM. New members are welcomed.